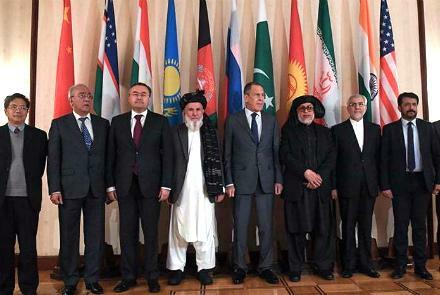 Peace in Afghanistan cannot be won on empty stomachs. For whatever agreement emerges from the U.S. and Taliban talks, it must be backed by food for Afghanistan’s starving population. Hopes are high to end America’s 17-year war in Afghanistan, the longest in its history. The U.S. intervened in Afghanistan to remove the Taliban and eliminate Al Qaeda after the September 11, 2001 terrorist attacks. The Taliban were giving safe haven to Al Qaeda terrorists. A breakthrough was just announced between U.S. and Taliban negotiators to potentially end the war. U.S. and foreign troops would leave Afghanistan and in return the Taliban would not provide refuge to terrorists. The hope is the Taliban would negotiate peace with the current Afghan government. But to win the peace in Afghanistan the US and allies must defeat the enemy that threatens the whole country: hunger. A large part of Afghanistan struggles to get basic food. Hunger is a powerful force that threatens the stability of Afghanistan. The UN World Food Program (WFP) says over 9 million Afghans live in hunger. Malnutrition stunts children’s growth in Afghanistan at an alarming rate. WFP says “Around 41 percent of Afghan children under the age of five are stunted.” When children suffer this level of malnutrition, they will have health problems their whole life, if they survive. With such poverty in Afghanistan, children are sometimes are forced to beg in the streets for food. Instead of getting an education and developing into productive citizens, they are forced to scrap in garbage heaps. No peace has ever been won under such tragedy. Drought is making the food crisis in Afghanistan even worse. The WFP had to launch an emergency operation to help families who could not grow food because of drought in 20 of 34 provinces. Over two million Afghans have been impacted by the drought. There must be a well-funded relief program for Afghans, but also a strategy to prevent hunger emergencies in the future. Small farmers must be supported so they can withstand drought and grow crops for a living. Child feeding programs should be expanded to stop malnutrition. A national school lunch program must be developed in Afghanistan to reduce child hunger and improve education. Children must not be forced to beg in the streets for food. We must remember that we helped Germany, Japan and other nations develop national school lunch programs after World War II. Food is essential for reconstruction and peace after war. The Congress will have to increase funding for our international food aid programs to make this happen. We should expand the budget for the U.S. Food for Peace and McGovern-Dole school lunch program to help Afghanistan and other countries in need. The basic right of food is the most important pillar for stability in any country. In Afghanistan, food is an essential ingredient for peace.